Find all you need at 1370 S Ocean Boulevard, in all-exclusive and luxurious, Manalapan, Florida. Absolutely no cost was spared in this jaw dropping, beach front home with a Balinese inspired design. This home is big enough to entertain company but cozy enough for a family, due to the modern design with natural elements. The romantic master bedroom has large, glass doors, which extend onto the balcony that overlooks the Atlantic Ocean. A sky bridge leads you into the guest suite, which sits above the "Man Cave", featuring a full bar and garage to display your most prized vehicles. In addition, a yoga terrace, spa, and gym make this estate a truly, all inclusive, luxurious beach home. 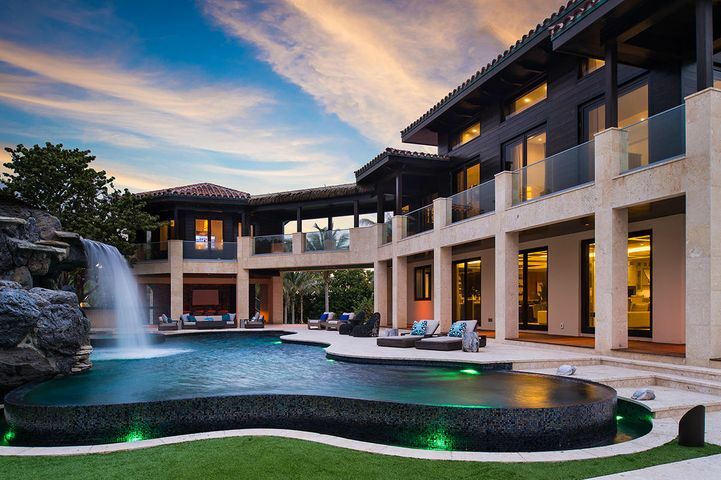 To get more information on 1370 S Ocean Boulevard, please contact one of our dedicated Distinct Estates agents who will be glad to show you homes in Palm Beach or in other parts of South Florida.